In this research report, a middle school student explains the attack on Pearl Harbor. Hawaii consists of seven wonderful, small islands, eight including Hawaii. The capitol of Hawaii is Honalulu which is located on the island Oahu, Pearl Harbor is also on Oahu. The Kings and Queens on the Hawaiian islands were annexed by the United States in 1898 and became American teritory in 1900. Serious Political trouble had been developing between America and Japan. No longer would ships be permitted visit the United States ports and naturally Japan would not permit American-flagged vessels to call at her ports. The two nations had broken off trade relations. A big ship called the Taiyo Maru was chartered from Tokyo to bring stranded passengers home, she would take Japanese who wanted to go or those who had been ordered to leave back with her. The Japanese who traveled on the Taiyo Mary were spies. A list of 97 quistions were asked about Naval Base, and Military installations, many watched warships noting names, types, arrival, and departure times. Meanwhile in Washington the “Purple”, machine was clacking away. Magic was so top secret, no copies were made, even General Walter, Short the army’s Hawaiian Cheif never heard about “Purple”. Only a few men including President Roosevelt knew about this operation. Roosevelt wrote to Joseph C. Grew in Tokyo. Six days later Grew wrote to the State department saying a member of the embassy had heard that a surprise attack on Pearl Harbor had been planned. Japan at this time had a more larger modern navy than the U.S., they had better aircraft carriers, superor planes, and superor pilots. Japan misunderstood, at this point was very dangerous. Three hundred and fifty-three aircrafts had been bisignated for the attack mission. The attacking force aircrafts were to be sent off the carriers in two waves. That day December 7, 1941 the U.S. was thrust into World War II. Japan launced suprise bombing attacks against six United States military instalations on the Hawaiian island of Oahu. Cheif among these was the giant Pearl Harbor Naval Base. At the end of 1942, it showed that the armed forces had suffered 55,065 dead, wounded, or mising. The close of 1943 brought word that casaulties were up to 138,252. The total would reach 996,089 by the time Peace returned. With the tinal count standing at 602,511 wounded, 224,546 killed, and 169,032 missing. Dolan, Edward F. America in World War II 1943. Taylor, Theodore. Air Raid Pearl Harbor! The Bombing of Peal Harbor by Thoughtful Learning is licensed under a Creative Commons Attribution-NonCommercial-ShareAlike 4.0 International License. 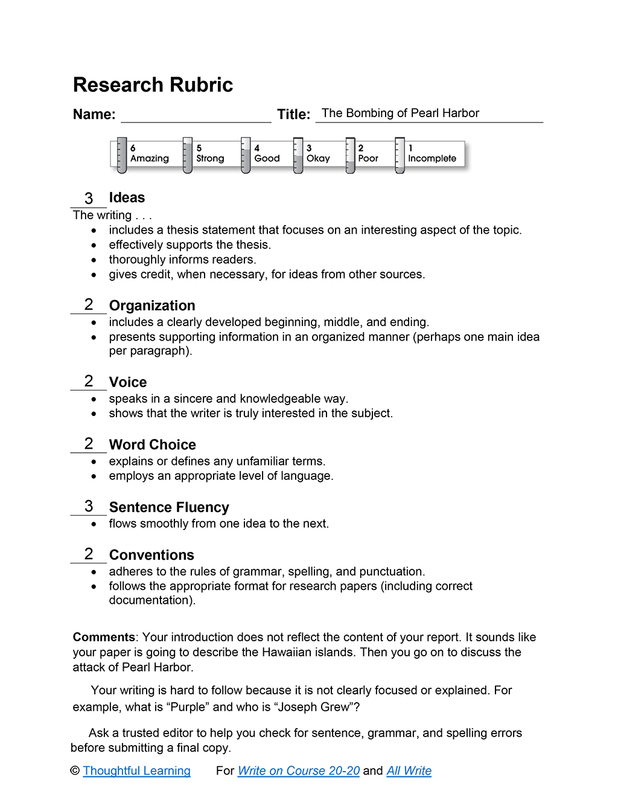 Based on a work at k12.thoughtfullearning.com/assessmentmodels/bombing-peal-harbor.